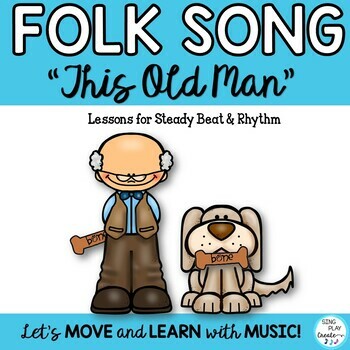 Folk Song favorite "This Old Man" is a great song to teach Music Concepts of Steady Beat and Rhythm. Reinforce or introduce and practice using the Teaching Video with FIVE sections to learn music skills. 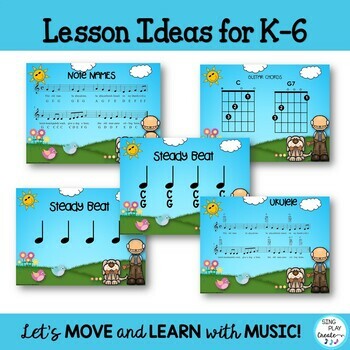 Lesson Ideas for K-6 included. 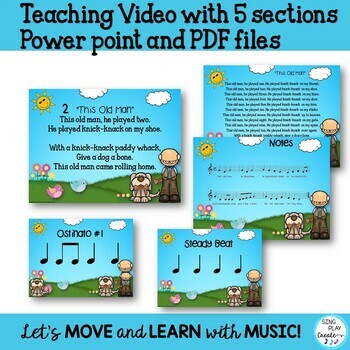 FILE TYPES- VIDEO, PDF-Power Point-Mp3 of Vocal and Piano Accompaniment. 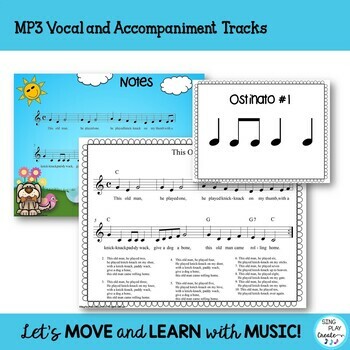 VIDEO: Teaching Video with 5 sets of practice recordings and slides for Steady Beat, Lyrics with each verse on a separate page, Lyrics on 1 page, Notes/sheet music, Ostinato #1, and Ostinato #2. Teaching Pages include Lyrics on a full sheet and Lyrics broken down by verse. BLACK and WHITE PRINTABLES are for easy NO PREP printing and teaching. CLASSROOM TEACHERS: Use this song as a Reading Activity for Daily 5 or as a whole class read and sing-along. Students can sit and read the lyrics and then sing a long as a whole class. Great for counting, reading and music lessons.